UPDATED 29.12.2014 Planned to be deployed at Singapore’s Timbre Group 12-inch Pizza & Records restaurant in late 2015, these flying robotic waiters were recently presented to Singapore’s Prime Minister at the launch of National Productivity Month. Produced by Singapore start-up Infinium Robotics, their new Infinium-Serve flying robots use the space between ceiling and above human height to deliver food and drinks to customers. Infinium enables autonomous collision-free multiple UAV deployment in confined interior spaces by using its own flight controller on board the UAVs as well as in-house trajectory planning and model predictive control (MPC) algorithms. Positioning precision can be up to 1 cm error. 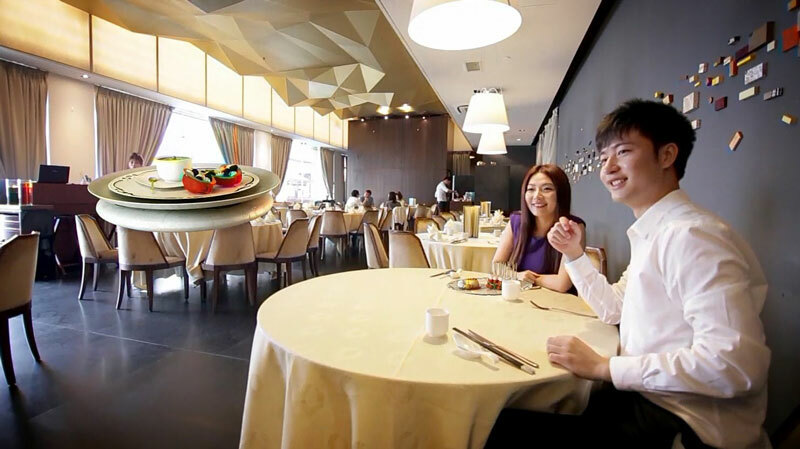 “Introducing this technology into restaurants will take away mundane tasks of serving food and drinks,” said Infinium Robotics CEO Woon Junyang. “It will allow human waiters to focus on higher-value tasks such as getting feedback from customers and will result in an enhanced dining experience which will eventually lead to increased sales and revenue for the restaurants,” he said. 2016 will see the first Roboy deployment in an airport lounge. Different than the Infinium-Serve drones, but similar in the service/delivery aspect, Roboy is both a floor-moving robot AND a drink-serving flying robot. Details here: Roboy, the lounge robot. Imagine a relaxing bar or lounge space, rather like the business class lounge in an airport – but staffed entirely by robots. As you enter, you are greeted by name by the robot receptionist, who remembers your preference for sitting by the window in a non-smoking area. You are guided to your table by a robot steward, leaving you to discuss the range of available wines in detail with the robot sommelier, an expert in South American reds in particular. You might order from the robot bartender, or sit back and relax whilst the low-flying drones deliver your drinks to the table. This the Robot Lounge, planned to open in a major Asia metropolis some time in 2016, providing us with a taste of the future and a chance to interact and get comfortable with robots.